In many cases, those who work with a truck or van deliver valuable goods and travel varying distances, which can be characterised by unplanned stops, in areas that are not always safe. We know that, especially because of the new tools that can also be used for burglaries, the standard locks on vehicles cannot guarantee adequate protection. For this reason, people who own a van or a truck often evaluate the possibility of installing an additional lock,bearing in mind other factors, such as the ease of everyday use, reliability over time and versatility. The Viro Van Lock answers all of these needs. This blog describes the qualities of the Van Lock in terms of security and reliability and a subsequent blog will look at the ease of use and versatility. The body, which is made entirely of a single piece of stainless steel, not only provides enormous reliability over time since it does not rust even when exposed to adverse weather conditions and the dirt which the rear wheels of vehicles lift up when moving, but also provides an enormous resistance against attempts to break it and it is practically impossible to gripwith burglary tools as it is elliptical in shape, with no sharp edges, which prevents any attempts to grip it. 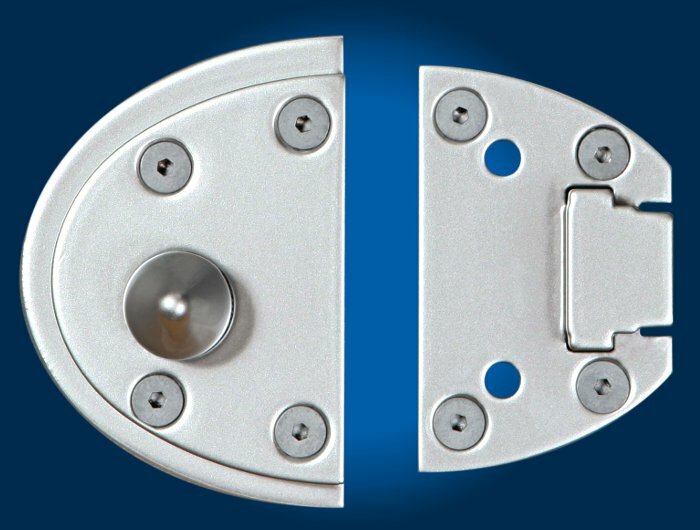 The fixing system uses 8 anchor points with sturdy plates, rivets and stainless steel screws (supplied), in order to maximise resistance to attempts to pull the lock from the door. 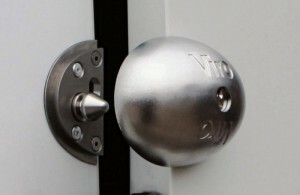 The closing system is created in such a way as to be particularly resistant to attempts to open with crowbars and hammers: it consists of a lever made of case-hardened, tempered and galvanized steel which engages on a sturdy, conical, stainless steel pin (which is extremely adaptable to movements of the doors). The lock uses 7 pins, compared with the 5 pins used on normal padlocks, so it is extremely complicated to align them all simultaneously, and it is fitted with counter-pins with a special “mushroom” shape which tend to get stuck under the action of a lock pick. It adopts the Viro Top Security profile as standard, which makes it more difficult to introduce and operate the picks, and, if requested, it can be supplied with Viro Palladium punched keys (also available with controlled duplication). Any attempts to drill the lock are effectively countered by an anti-drill platemade of case-hardened and tempered stainless steel. A potential weak point of an additional lock is the internal release system, which is necessary in the case where the operator is accidentally locked inside the loading compartment. 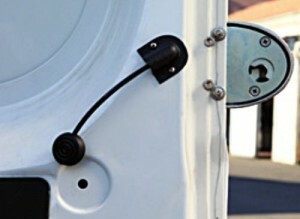 Since it is fairly easy to drill the sheet panels of the doors, if one is able to introduce a hook through the hole with which to grasp the internal release it is possible to open the lock. But, unlike other systems that use wires with eyelets that which one can grasp with a hook, the internal release system of the Viro Van Lock uses a knob which is almost impossible to grasp from the outside, and a protective shield at the exit point of the wire. Also, upon request, a handy kit is available which allows you to have an internal button (which can be temporarily set to “always open” to facilitate loading and unloading operations, without having to leave the key in the Van Lock), in place of the cable. 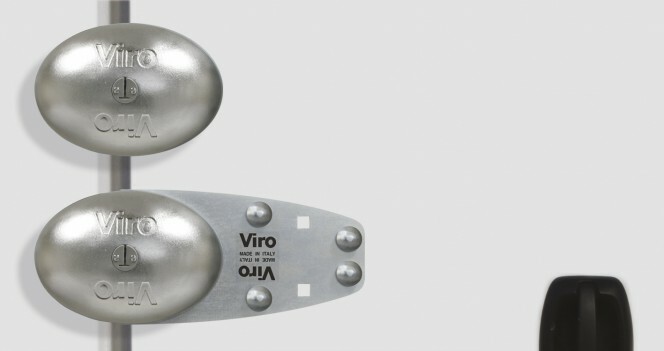 In the next blog we will see how the Viro Van Lock is also easy and flexible to use.